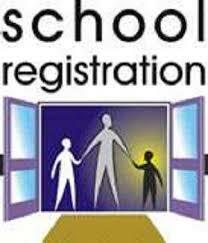 Please stop by our office to complete a registration package for enrollment. If you have not attended a public school in North Carolina previously, you will need documentation of a health physical. The following items are needed in addition to the completed enrollment package: Proof of residence-current lease, deed, electric or water bill, Immunization record, Birth certificate, Most recent report card or withdrawal paperwork from previous school, Court appointed guardianship papers if student is not being registered by parent.